The term “borrow pit”- refers to a number of locations throughout the bay that have an increased depth as a result of past dredging projects that removed sand from the bay bottom to fill in adjacent areas. The largest “borrow pit” is adjacent to JFK airport and was used to fill in the marshlands in that area and create the upland area that is today the airport. The “borrow”, in “borrow pit”, refers to the sand that was removed as having been borrowed from that location. In the mid 1980’s the Army Corps of Engineers (ACOE) was faced with the dilemma of what to do with some of the more contaminated (referred to as type F material) dredge material from the harbor deepening project. While upland disposal and cleaning and reuse methods (heat treatment and use in concrete aggregate production) were options the ACOE saw that the possibility of ocean dumping of this contaminated (with PCP’s and heavy metals) material would produce a huge savings in the cost per cubic yard and ultimately in the overall project price tag. Federal law however prohibited the dumping of this material into the ocean due to the level of its contamination and the harmful effects it would create on the environment. 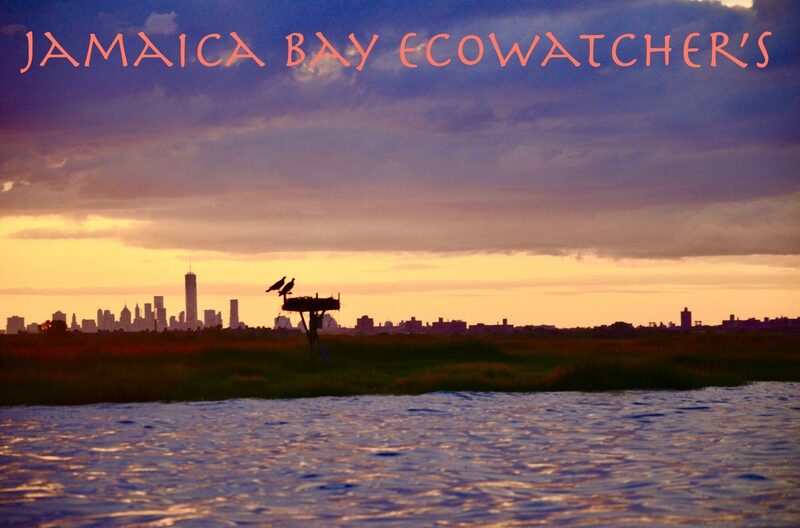 In response the ACOE developed the plan to dump this contaminated material into the “borrow pits” of Jamaica Bay as it was within the three mile limit and not subject to the same federal oversight. They claimed that once deposited into the “borrow pits” that they would cover it with clean sand and it would not be a hazard. Hearings were held on the issue, at Kingsborough College, and at least a thousand people turned out. The environmental, fishing and recreational groups were outraged and the proposal was quickly dropped. The issue is slowly and quietly being revisited as the ACOE is now tasked with dredging parts of the Van Kull and Passaic River, as well as other Harbor areas that have known contaminants in the sediment. We have been approached by groups that are working with the “dredged material management plan” group, the group that plans future uses for dredge material, who have indicated to us that this plan is once again getting serious attention. The only difference is that this time it will be presented as an environmental benefit to the bay in that the ACOE will be submit that they are attempting to “re-contour” the bay bottom to increase water flow thru the bay and this incidentally be an excuse to use this contaminated fill to fill in the deeper holes (as previously attempted). NYC EDC has even contacted Environmental groups in the area to inquire as to how this would be received in the environmental community. Should the ACOE and NYC EDC seek to pursue this concept it would be met with tremendous outrage and opposition as no one accepts the “fake” science that supports this and see it for what it is- a way to attempt to save money at the expense of, to use Mayor Bloomberg’s words, “what may be the greatest natural treasure lying within the borders of any city in the nation—Jamaica Bay” (from the Oct. 27,2011 press conference).The Ecowatchers will vigourously oppose any such plan !! This entry was posted in Uncategorized on November 9, 2011 by Mundy.